The new Bayside Marketplace downtown will be extraordinary, said Miami Mayor Tomás Regalado, who was invited to the open air market on Biscayne Bay on Sept. 14 to celebrate the start of a major renovation for the shopping, restaurant and entertainment venue. “It’s a very exciting day in downtown Miami,” said Pamela Weller, senior general manager, Bayside Marketplace LLC, as she announced details of the makeover. “In two weeks, they will begin construction of a new Bayside,” said Mayor Regalado. The mayor said voters mandated a new and improved Bayside Marketplace, and on top of that the shopping center executives were ready to hand over a $10 million check to the city. “That’s good, right … for us it’s a win-win,” Mayor Regalado said, for the big check and an improved marketplace that he said will attract tens of millions of visitors to the city for years to come. Built in 1987, the nearly 30-year-old complex is north of Bayfront Park on about 17 acres of city-owned waterfront leased to Bayside Marketplace LLC. In 2014, new agreements were approved by city commissioners and OK’d by voters that extend the leases to 99 years and require the company to make at least $27 million in renovations to the dual-level market. The deal includes adding about 17,000 square feet for retail and expanding the garages, and allows for construction of a 1,000-foot observation tower near the water’s edge called SkyRise Miami. Ms. Weller said the indoor-outdoor festival marketplace is about to get a facelift designed by Zyscovich Architects one year shy of its 30th birthday. The first phase includes renovation of the 140,850-square-foot outdoor common areas, she said. The outdoor renovation includes a new paint scheme for the buildings’ exteriors, piers, bulkheads and exposed structure, new flooring for the upper level, new stairs and railings, new restrooms, new tenant signage, lighting, landscaping, and graphics and way-finding. They also presented renderings of what the finished product will look like. 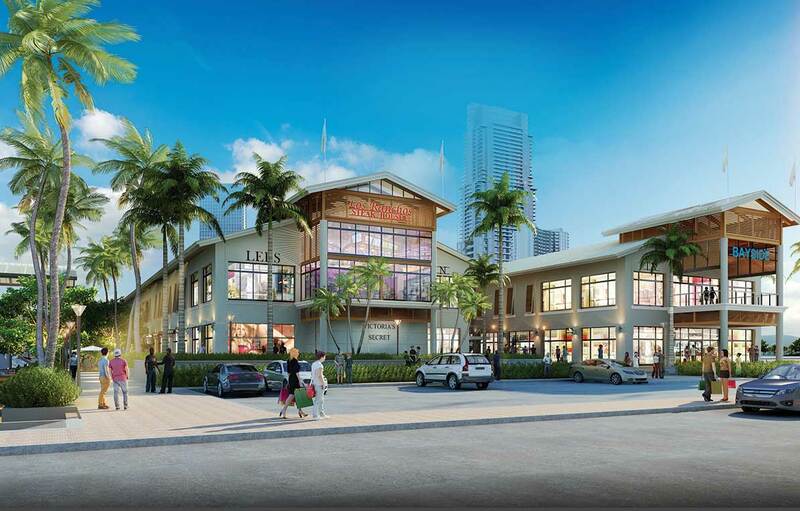 “Bayside Marketplace is the waterfront retail anchor for downtown Miami. We are thrilled to be at the ground floor of this transformational improvement project,” said Zyscovich Architects founder and CEO Bernard Zyscovich. “For me, Bayside holds a very special place in my heart,” said Commissioner Francis Suarez. He said his father Xavier Suarez, now a county commissioner, was the mayor when Bayside was built and he remembers his father taking him to the marketplace as a youngster. Construction of the shopping center marked “the beginning of the renaissance of downtown,” he told the crowd. Mr. Suarez said the addition of Bayside enhanced downtown and has proven to be a good deal for city residents. In regard to the long-term lease of the city’s property to the company, Mr. Suarez said he was glad to see the city partner with Bayside. Mayor Regalado accepted an oversized check from Bayside for $10 million from Ms. Weller, who said the monetary contribution, in addition to the physical improvements that will be coming in future phases, are her company’s commitment to investing now in Bayside’s future. Bayside Marketplace consists of more than 180 businesses, which include about 140 inline spaces and several kiosks, flower carts, fishing charters and tour boats. Improvement plans include adding retail space facing west onto Biscayne Boulevard. Much of the current marketplace is oriented toward the water. 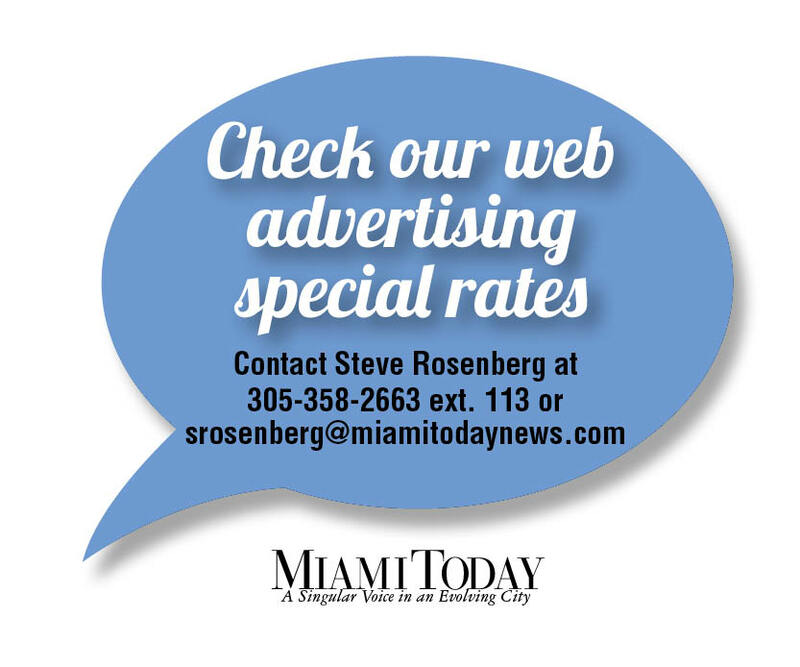 The goal is to create a complete sidewalk-pedestrian atmosphere, affording more connectivity between Biscayne Boulevard and the waterfront. 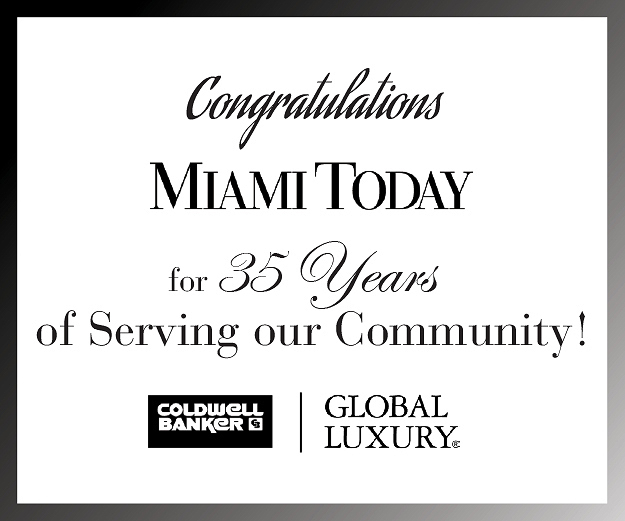 “As the Number 1 tourist destination in Miami, we will continue to strive to bring new relevant commercial uses and create interactive public gathering spaces for locals as well as tourists, creating the sense of belonging, even more so than today,” Ms. Weller said. Part of the lease is a minority participation agreement that required creation of a foundation to administer guarantee programs for venture capital loans to minority business enterprises, creation of a scholarship fund for minorities and provision of technical assistance and resources to local community development corporations engaged in economic development of minority business enterprises. 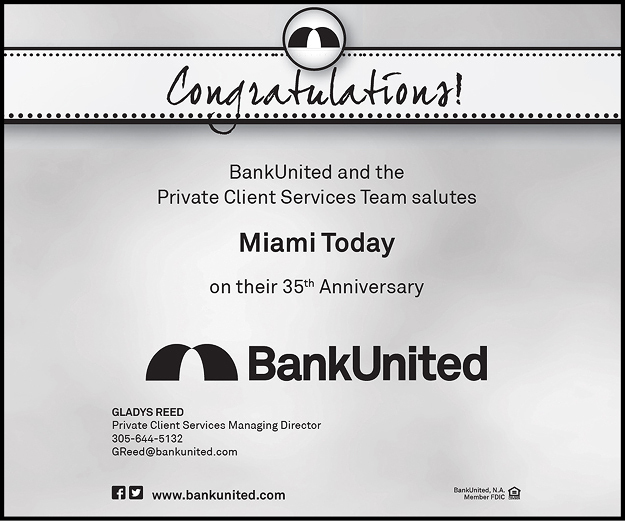 The Miami Bayside Foundation Inc. was created as a result of that agreement in the early 1980s and called on Bayside to contribute the greater of 10% of its net income available for distribution or $100,000 a year. The new lease and agreement did away with the original calculation and now requires Bayside to annually pay the foundation $350,000, increasing 2% each year.